Are you ready for an excellent giveaway? 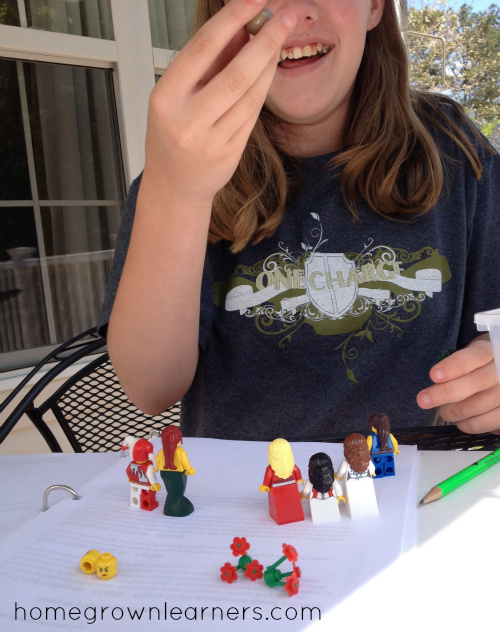 I'm happy to be partnering with Lego Education® to bring you a set of minifigures that gets a lot of use in our home. Do your children love minifigures? My little guy loves them so much I decided to design a Create Your Own Minifigure Printable, Minifigures Printables for Girls and Boys, and also a Language Arts with Minifigs download. Do your children love history? Both of my children have an affinity for history. We use The Story of the World as our history spine. During many lessons my son is building some LEGO creation to go with our chapter. He has also built LEGO Landmarks - as you know the possibilities where LEGO bricks are concerned is very exciting. 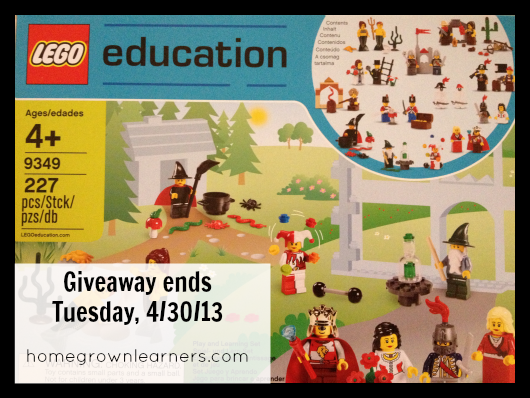 We recently received the Fairytale and Historic Minifigure set from Lego Education®. The set contains elements to build 22 minifigures, and also some great accessories to go with them. 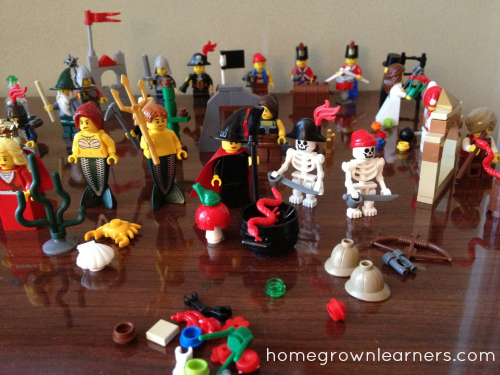 As you can see, there are historic minifigures like knights and British soldiers, and kings and queens. There are also fairytale minifigures. *Please note: this set does contain a witch and a wizard. I do not have a problem with these, but am sensitive to the fact that some families may. I'm pleased to be able to give away one of these sets to a lucky reader (a $49.99 value!). Simply complete the Rafflecopter widget below to enter. This giveaway will be open until Tuesday, April 30 at midnight!